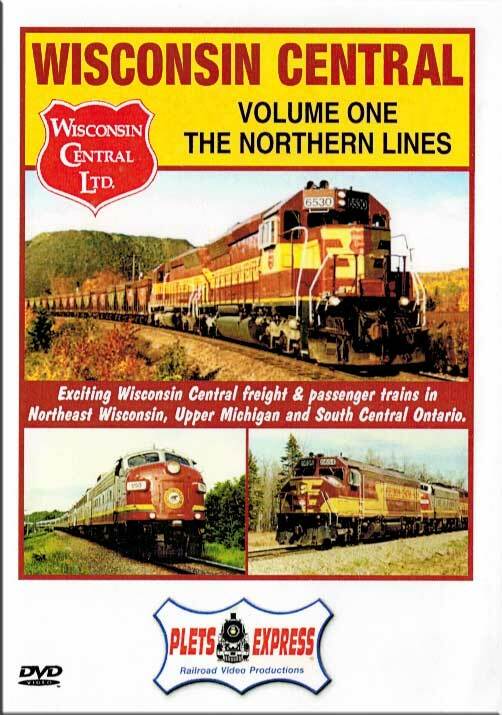 Exciting railroad action on the Wisconsin Central Ltd. See WC freight and passenger trains as they travel across Northeastern Wisconsin, Upper Michigan and South Central Ontario. The Wisconsin Central action includes: mainline freights, locals, ore trains, yard switching and Algoma Central passenger trains. F-units are seen on both freight and passenger trains and most Wisconsin Central diesel models are featured. Plus steam excursions are also briefly seen with Soo Line 1003 and Milwaukee Road 261... all on Wisconsin Central's exciting Northern rails! Footage era 1996 - 1999. Shot from the camera of Bradley A. Plets.